I have been meaning to try my hand at a sugar free chutney for a while now and with yesterday being a typical rainy Saturday afternoon (in August!) I finally got round to it, and I have to say that I have stumbled across a winner. 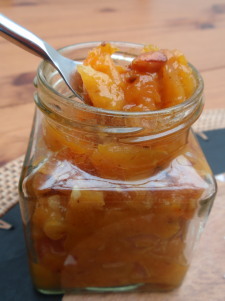 I used dried apricots, cider vinegar and orange juice and, even if I say so myself, this is an amazing sugar free chutney, I can’t wait for you to try it. As this was only meant to be an experiment and I didn’t really want buckets of the stuff I only made one jar, but you could easily scale up the quantities. I really recommend the cider vinegar (I used Aspell’s cyder vinegar) – it has a lovely sweet taste. I’m not even sure whether the agave nectar was essential so I’ll have to try it without next time to see if it’s just as good. Combine the cider vinegar and orange juice in a small jug. Then in a small non-stick pan fry the garlic, nuts and spices for a couple of minutes and then add the apricots, Agave nectar and half of the vinegar / orange juice mixture. Simmer for 20-30 minutes adding a little more of the vinegar / orange juice mixture whenever the liquid gets soaked up. Pour into a jar that has been heated in the oven and cover when cool. Enjoy with cold meats, cheese and other savoury nibbles. Fabulous, let me know what you think of my first sugar free chutney! A few weeks ago I would have tried this – it looks really tasty but at the moment I am trying to cut out added sugar, and also to cut down on sugar altogether. I can see that you really mean that this is a “no added sugar” recipe but apricots have a lot of sugar in them. Have you come across any recipes that have no sweet things added at all? Unless you are practically “fanatic,” this is an excellent recipe, especially considering HOW much sugar chutney normally contains. Bought chutney has loads and loads of real sugar. 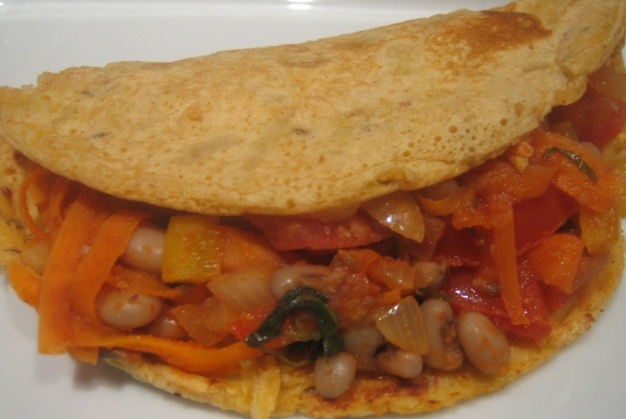 Thank you for this tasty and healthy recipe!! I wouldn’t say one would be a “fanatic” by asking the question if there was a sugar free chutney. Whilst I don’t dispute this recipe has less sugar than store bought ones, this is a ‘no added sugar’ recipe instead of a sugar free one. 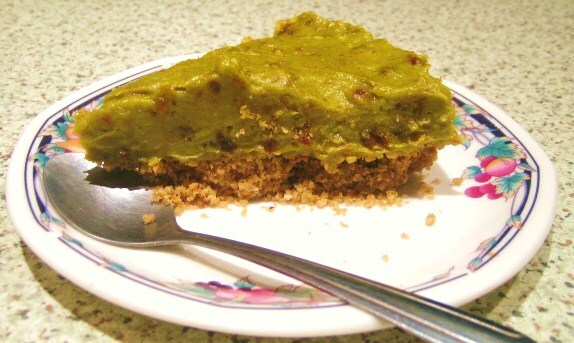 This recipe sure does look lovely thank you, I would also be interested in a no or very low sugar recipe if you had one. This recipe looks great and perfect for my diabetic husband, if I may add this contains natural sugars (fruit/honey) which we all need. Sorry but if your recipe has agave nectar or honey in it then it’s not sugar free. You could perhaps call it a low sugar recipe instesd! would it be possible to use fresh apricots? I have a few trees with lots of fruit and I am not able to dry them. Also, does it work with fresh figs? That sounds amazing – I think they would be perfect. Really great idea, i wanted to make chutney and i searched google for sugar free chutney. I wasn’t expecting to find a proper sweetener free recipe and was pleasantly surprised by this gem. Good job! I would just add that i’m not all that keen on non stick pans, and i tend to fry the garlic nuts and apricots in a bit of olive oil before adding the spices. Also i fount that the vinegar and orange juice wasn’t nearly enough. Yay glad you liked it.